Hello and Welcome to our preview for New Zealand vs Pakistan match. We are covering NZ vs PAK 1st ODI Dream11 Team Prediction, Preview and Probable Playing XI for the ODI match. The match is to be played at Sheikh Zayed Stadium. Team Pakistan won the T20I series against New Zealand and are in splendid form in T20I format but their form in ODI format is not good. They were knocked out of Asia Cup 2018 by suffering two defeats against India and one against Bangladesh. It is high time for them to determine right team combination for ODI World Cup 2019. They will hope to replicate their T20I performance against Kiwis and will have momentum on their side. New Zealand did not have a good T20I series and their performance kept deteriorating with every another match. 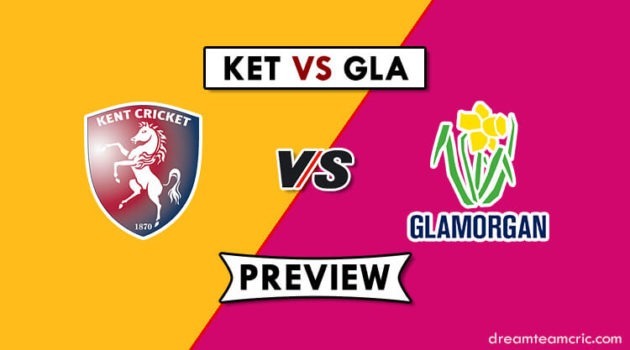 They will hope to work upon their limitations from T20I series and come strong in their favorite limited overs format. They have made quite a few strong additions to the squad and will hope to come all guns blazing against Pakistan team. Keeping World Cup 2019 in the notice, They will hope for a good performance from all their players. NZ VS PAK, 1st ODI Match, New Zealand vs Pakistan in UAE, 2018. Sheikh Zayed Stadium, Abu Dhabi. Kane Williamson (c), Todd Astle, Trent Boult, Colin de Grandhomme, Lockie Ferguson, Matt Henry, Tom Latham, Colin Munro, Henry Nicholls, Ajaz Patel, Ish Sodhi, Tim Southee, Ross Taylor, BJ Watling, George Worker. Fakhar Zaman, Mohammad Hafeez. Imam Ul Haq, Babar Azam, Shoaib Malik, Asif Ali, Haris Sohail, Sarfraz Ahmed (c), Shadab Khan, Imad Wasim, Faheem Ashraf, Hasan Ali, Junaid Khan, Shaheen Afridi, Usman Khan. They have declared 15 man squad for the ODI Series. Todd Astle is a doubtful starter for the match as he is suffering from some injury issue. His cover Ajaz Patel will play if he is not fit for the match. One among BJ Watling and Henry Nicholls will play in the middle order. Chances of H Nicholls are more. Corey Anderson has suffered injury and is ruled out of the series. Colin Munro, Tom Latham, K Williamson and Ross Taylor will lead the batting department. Colin De Grandhomme will be the key all-rounder. Ish Sodhi will lead the spin attack along with Todd Astle or Ajaz Patel while Tim Southee and Trent Boult will be the key pacers along with Colin De Grandhomme and Lockie Ferguson. They have also declared 15 man squad for the ODI series. Imam Ul Haq is back and will open for the side. Mohammad Hafeez will come into the playing XI after his impressive performance with the bat as well as the ball in T20I series. Imam Ul Haq, Babar Azam, Fakhar Zaman, Shoaib Malik and Sarfaraz Ahmed will be the key batsmen. M Hafeez, Faheem, Imad Wasim and Shadab Khan will play the role of all-rounder for the team. Hasan Ali, Faheem Ashraf and Usman Khan or Shaheen Afridi will lead the pace attack whereas Shadab Khan and Imad Wasim will be the key spinners. M Hafeez will also bowl few overs of spin. Colin Munro, Tom Latham (wk), K Williamson (c), Ross Taylor, Henry Nicholls, Colin De Grandhomme, Ajaz Patel/Todd Astle, Tim Southee, Ish Sodhi, Lockie Ferguson, Trent Boult. Imam Ul Haq, Fakhar Zaman, Babar Azam, Shoaib Malik, Mohammad Hafeez, Sarfraz Ahmed (c and wk), Faheem Ashraf, Shadab Khan, Imad Wasim, Hasan Ali, Junaid Khan/Usman Khan/Shaheen Afridi. In Batsmens Fakhar Zaman, Ross Taylor and Shoaib Malik are also good option. In all rounders Imad Wasim is also good option. Ish Sodhi and Trent Boult are also good bowlers. Captain and vice-captain choices: M Hafeez, Babar Azam, K Williamson, Colin Munro. 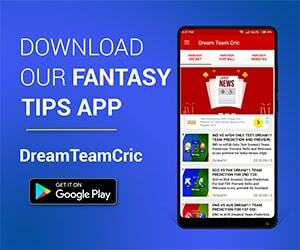 If you liked NZ vs PAK 1st ODI Dream11 preview, then follow us on Twitter for Latest Cricket News.